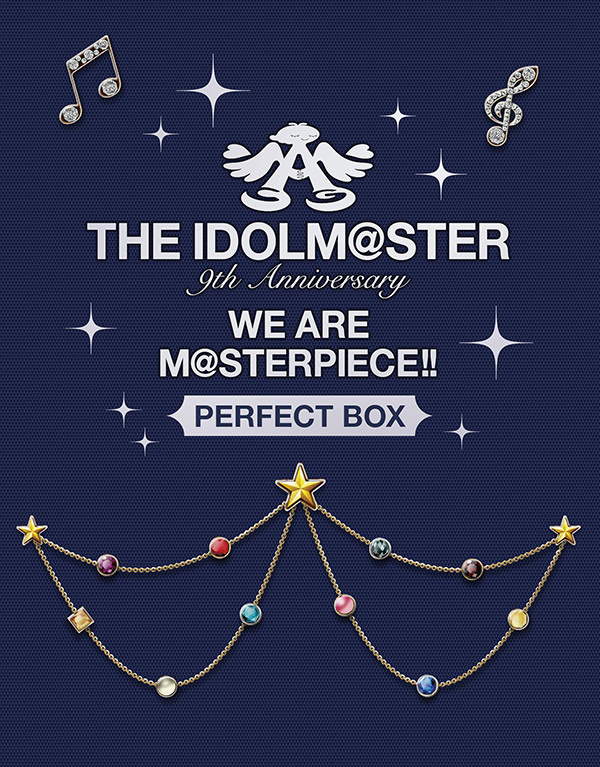 Bandai Namco and Lantis have blessed us with further information regarding the 9th Anniversary WE ARE M@STERPIECE Blu-ray Boxes as well as an 8.5 minute digest of the the Tokyo Day 1 performance (above). The box art for the Perfect Box has been announced. It has a silky feeling to the touch and the image-color gems on the front are three-dimensional and will glitter. While they have only released the digest for Tokyo Day 1, they are planning to release more on the road to May 13th. They have opened a special site for 9th Anniversary here. You can purchase the Tokyo performances individually at 9,000 JPY each, but you will miss out on the digest and the “super gorgeous” box. You can preorder this on cdjapan.co.jp, but you’ll be looking at anywhere from 1000 to 4000 JPY for shipping depending on speed and global location. That said, these may be hard to come by new after the release. M@STERS OF IDOL WORLD! !2014 (SSA) is pretty much entirely unavailable except at second-hand shops so if you think you’re going to want it, it’s a good idea to get it now. Below this will be some information relating to the live that may already be available elsewhere, but I’ll repeat it here for your convenience. Thanks to im@s db for the setlist data. 10/04 and 10/05. Previous PostCongratulations Akky!Next PostMusic Updates! Unavailable and only at second-hand shops at MARKED UP PRICES you mean. Lots of stuff is only available at second-hand shops but they’re often cheaper than retail. This is a rare case where it isn’t.